The RCD 2013 Annual Report is now available. 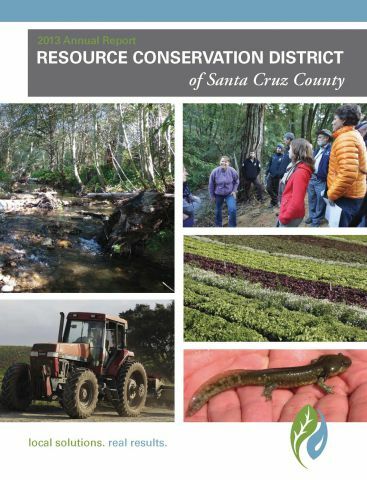 This report provides an overview of our work last year including the Salmonid Recovery Plan for San Vicente Watershed, Pacheco Reservoir Hydrologic Study, native amphibian recovery in Larkin Valley, Caltrans mitigation funding for Manabe wetlands restoration, a dam removal on Branciforte Creek, Performance Based Incentives for Conservation in Agriculture (PICA), Watsonville Sloughs Hydrologic Study and more. You can contact us to request a print copy of the Annual Report or to inquire about any of our projects.